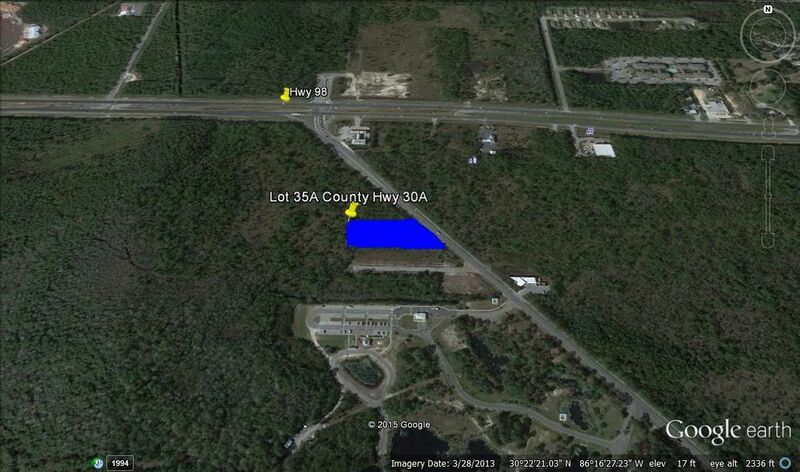 Infill zoned parcel +/- 3.1 acres with 432 feet of frontage on Hwy 30A. Less than 0.2 miles from Hwy 98 intersection. Neighborhood infill zoning allows residential and commercial uses. This represents western portion of Lot 35. Eastern portion also available for sale. This is the first large parcel available for development south of Hwy 98 on the west end of County Hwy 30A. Environmental assessment available upon request.